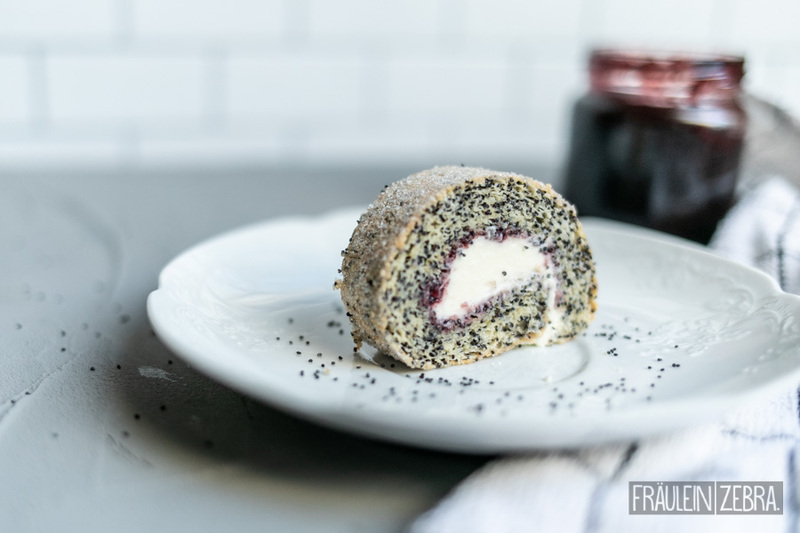 Swiss Roll with Poppyseed & Jam – Fräulein Zebra. After more than two years it is time to say goodbye. Over a 100 recipes, snack ideas and simple dishes later, today the last episode of ‘my’ food revolution will air on the radio. It’s best to stop when you’re having the most fun. And it was definitely two amazing years! So many new experiences, challenges and also people that I got to know. I’m going to miss that for a sure, but now I’ll also be able to focus on new projects on here. Do you have any specific wishes or ideas? 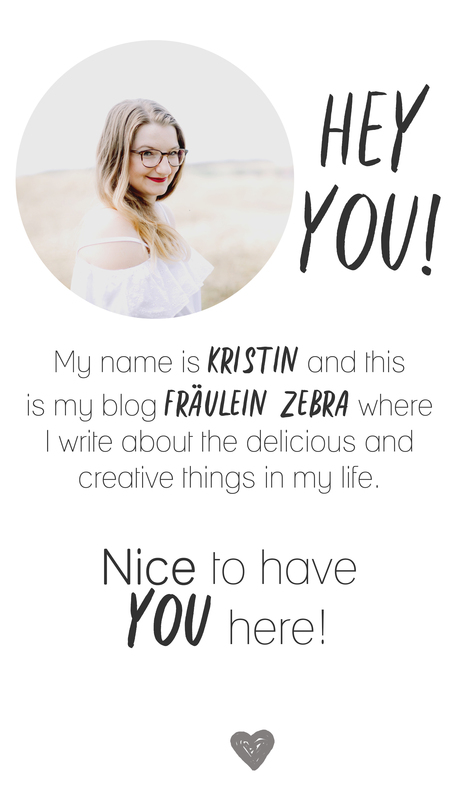 What would you like to see or read more about? 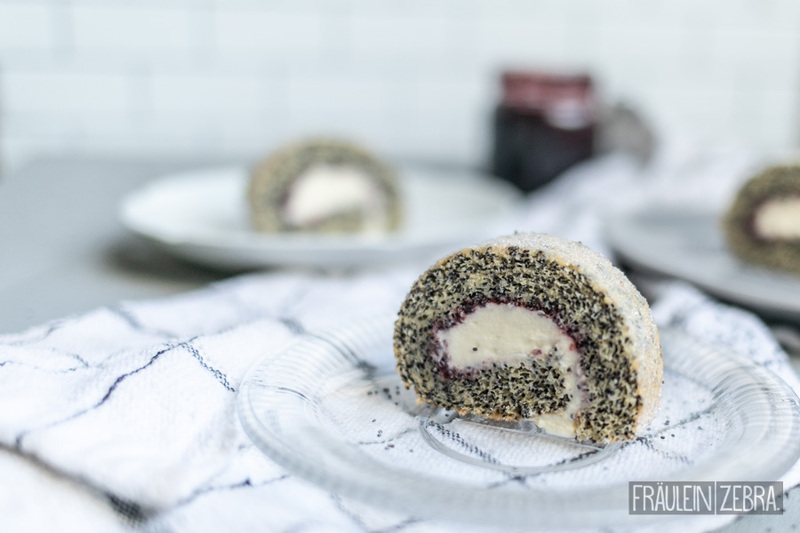 I look forward to your feedback ♥ But now it’s time for a recipe: easy to make swiss roll with poppy seed and a jam & cream filling! Simple but soooo delicious! 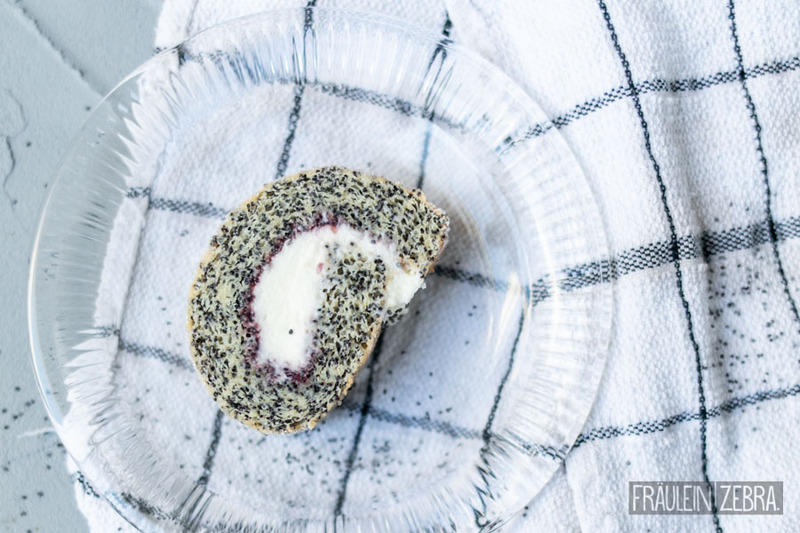 Bake, fill & roll - you have to try this super easy to make cake! Preheat the oven to 180 ° C and line a baking sheet with parchment paper. Separate the eggs and beat the egg whites with a pinch of salt until stiff, then whip up the yolks with 130 g powdered sugar until pale & creamy. 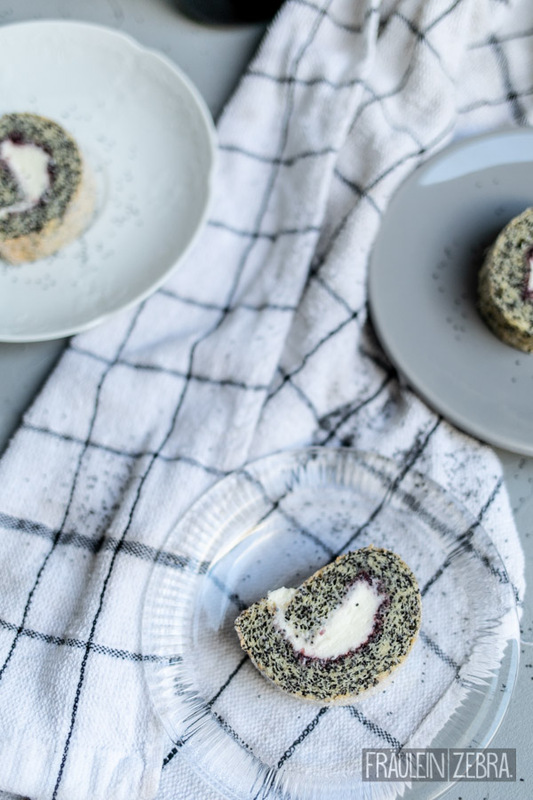 Stir flour and poppy seeds into the yolk mixture, then slowly fold in the egg whites. Pour the mixture onto the baking sheet, smooth it out and bake for about 10 minutes. 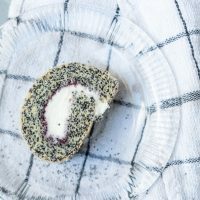 Meanwhile, sprinkle a clean dishcloth with sugar and turn the finished poppy sponge onto it (straight from the oven) and gently peel off the baking paper. Now carefully roll up with the cloth from the long side and allow to cool completely. In the meantime whip up the cream with the remaining powdered sugar. 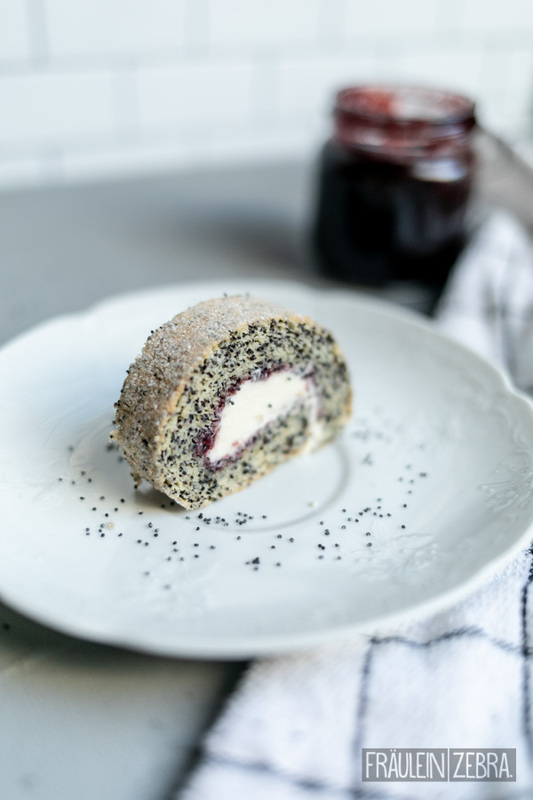 Carefully unroll the sponge again and spread first with jam and then with cream. Roll it up again with the help of the kitchen towel. Put in the fridge to firm up, then slice and serve. 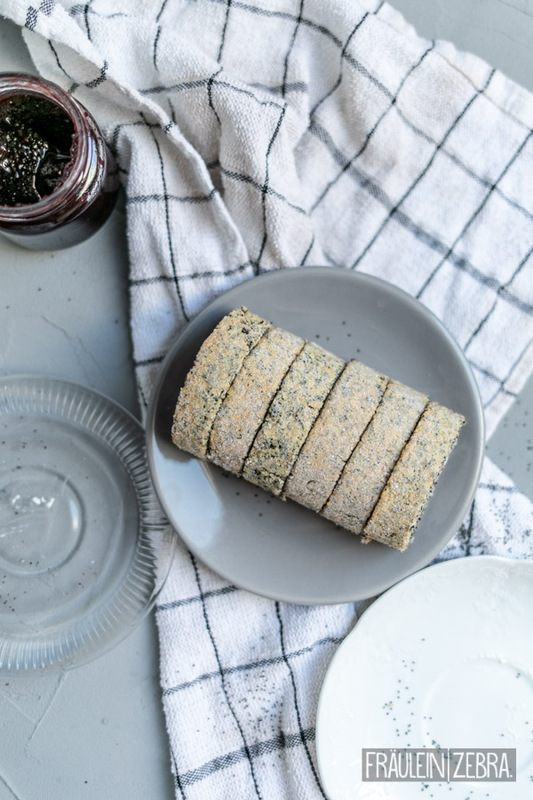 Tip: If the baking paper can't be easily removed from the spong, just put a damp cloth over the baking paper, let it sit for a bit and then it should be much easier to peel off. Do you like poppy seed, too? I totally do but actually bake or cook with it pretty rarely … I’ll definitely have to change that! Stay sweet & HAPPY BAKING!